Worthington Kilbourne’s playoff run ended Wednesday night in an 18-8 loss to Cincinnati St. Xavier in a “Final Four” match-up played in Dayton, Ohio. While a loss and the end of a season always stings in the moment, it was a remarkable 2018 campaign for the Wolves on many levels. Worthington Kilbourne finished the season with a record of 17-6, and earned an OCC Cardinal Division Championship along with an OHSAA Division 1 Regional Championship. 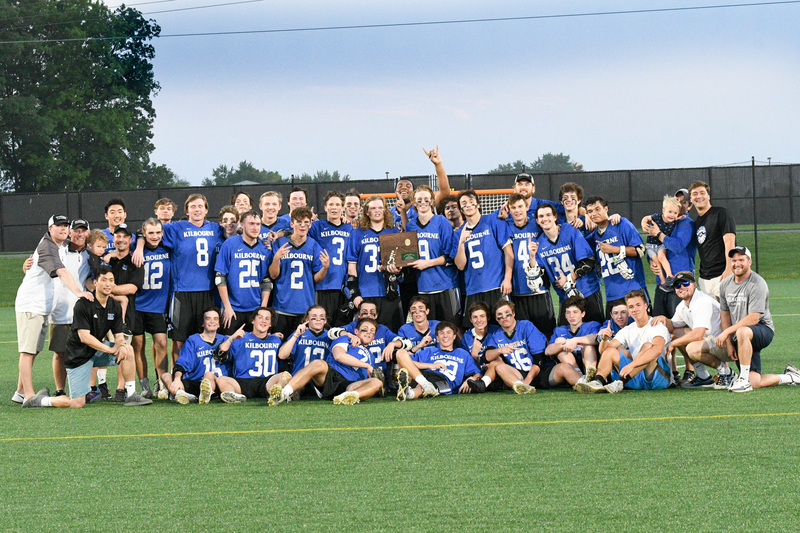 The Wolves win in the Regional Championship against Upper Arlington earned Kilbourne’s 14th appearance in the State “Final Four” in the school’s 27 year history. At the JV level, the Wolves finished the season 12-1 and also went undefeated conference play. The success of both Varsity and JV is a nod to program depth and a positive sign for future success. The 2018 season was a very successful maiden voyage for first-year Head Coach Mike Lippert. Lippert was a longtime assistant for the Wolves who took over the Head Coach position in the off-season. In his first season as Head Coach, Lippert earned OCC Coach of the Year and MSLCA Coach of the Year. Most of all congratulations to all student-athletes for a fantastic and memorable season on and off the field. Many Wolves earned All-Conference and All-Region honors. The Wolves success on the field is matched by the number of community service hours members dedicate through the team’s “Man-Up” community service program. A special thanks and best wishes to all the graduating seniors and their families. We appreciate you and will miss you.